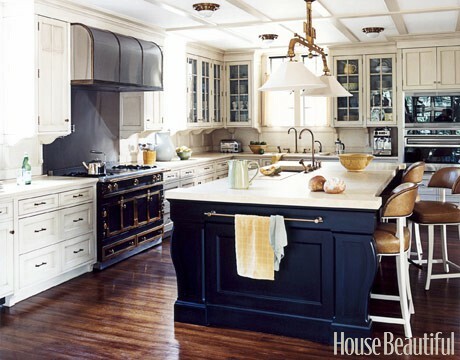 "So, of course I love all the white kitchens that are everywhere right now. I just don't think they are necessarily "me" though. 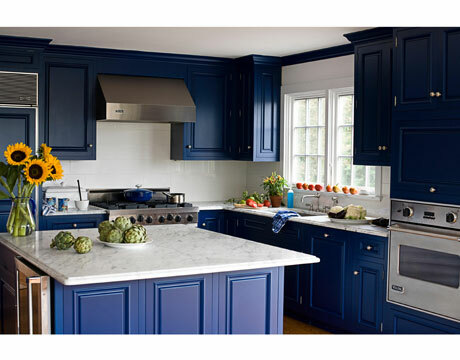 I'm actually loving blue kitchen cabinets, especially navy. And I just think blue is more me. 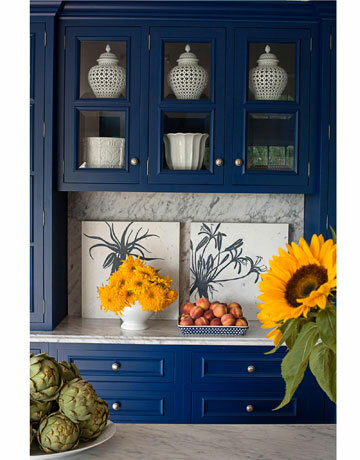 I'd probably do a white marble countertop with the blue cabinets. Calacatta or Carrara or something. 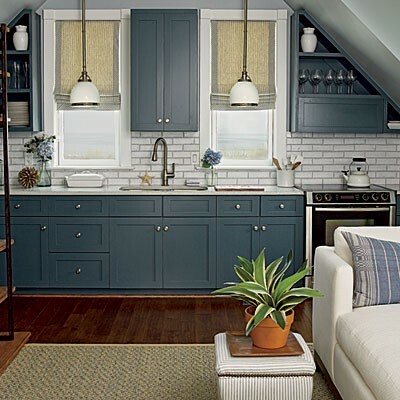 Anyway, since you are the best at finding amazing pictures of kitchens....do you happen to have any pictures of kitchens with blue cabinets? I need some inspiration! I'm building a new home and I've got to get this figured out. Thanks!." Thanks for the email Sarah. I am really loving navy right now too! I painted a wall in my dining room navy blue about three years ago. I've recently realized it's my favorite wall color in my house! 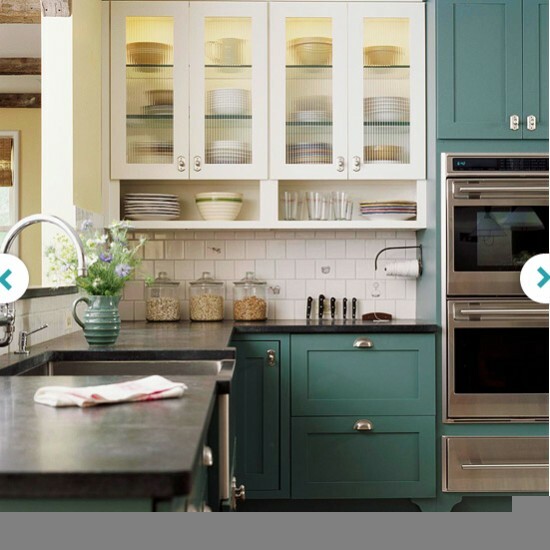 Thankfully for Pinterest I do have an assortment of pictures of kitchens with blue cabinets. Sarah in Iowa ... go for it! It's a beautiful idea. And when you do, send pictures to Granite Gurus so we can all see it! I say go for it too! 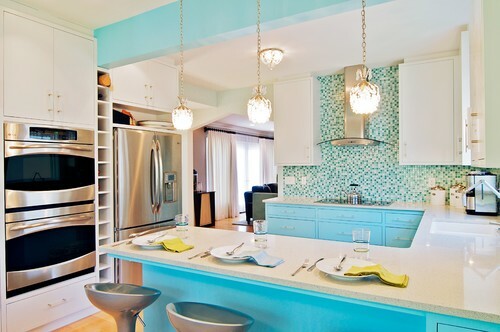 I love all of these blue cabinets. Especially with the white countertops.